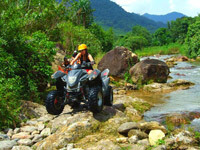 Top Level ATV + Rafting + Trekking can be considered to the Best of ATV Route, Rafting Route and Trekking Route. 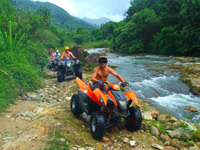 We can recommend you that if you don't need a real adventure of ATV Route Rider, if you don't need real adventure Rafting Route or Real Adventure Trekking Route, please say no to book this trip. 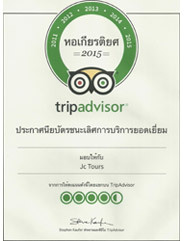 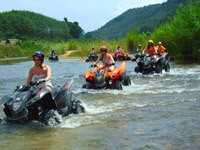 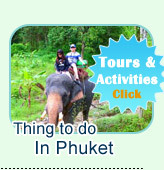 This trip is going to take you to adventure with a highest Level ATV Route with the best team of Thailand Southern. 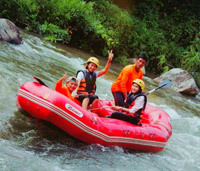 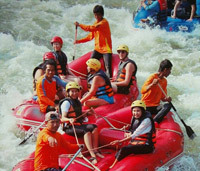 This trip is going to take you to do the Top level of Rafting Route of Thailand Southern. 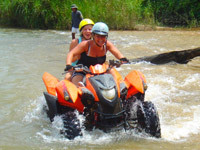 This trip is going to take you to adventure in the Real Safari Atmosphere. 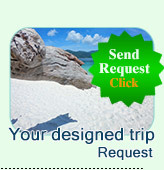 Please see the hilight of the picture and the program of the route which you are going to face before submit the booking. 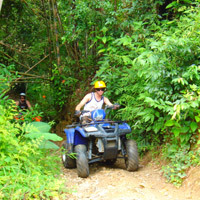 ATV Top Level Route (being the best of Thailand). 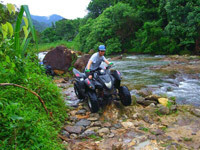 Our training system (30 minutes before real drive with harder route) will be passed both Safari, Stones road and in the River. 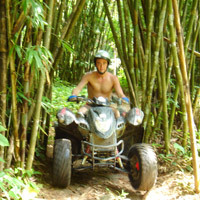 To make sure that you and ATV can be co-operated parts of the same body. 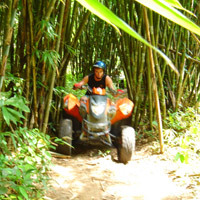 Hard Job comes so; your body, your eyes, your power and your concentration heart must be together and Go on..
Trust us; if you can not pass our test system (first 30 minutes) you will never pass the real drive route. 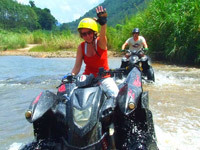 After that, our high expert guide will take you into the deeper safari, the starting of Jungle Walk. 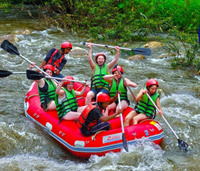 One more time Nature on the water, Rafting with this Top Level Program can make sure that "You will get the top fun with a hundred persentage safe".